If you are a Health and Wellness, Fitness or Nutrition Coach, or a Personal Trainer, you know the same approach does not work for all of your clients. Each client is unique in their age, body type, diet, routine, circumstances, and physical makeup, and after interviewing and testing your client, you can create an individualized approach. 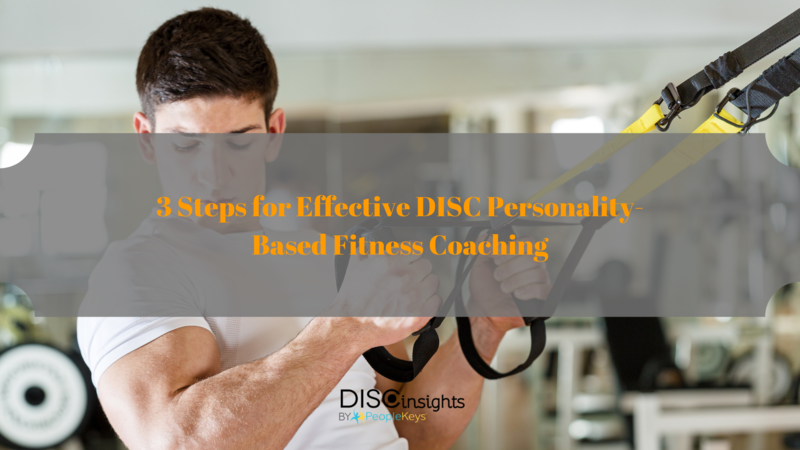 During the diagnostic phase of your relationship, one more important analysis should be made before designing your targeted approach – a DISC Personality Fitness Analysis. How do you best communicate with your client? In what ways does your client learn best and make decisions? Is your client more task- or people-oriented? What environment can you create to best motivate your client? What plan of action works best for your client’s personality and behavior? How does your client respond to stress? Coaching and training are all about effective communication. You can be the best coach in the world, technically, with the highest levels of education, training, and resources, but if you can’t get your client on-board or don’t communicate with your client in a language he or she will understand, your knowledge will go to waste. To remove any communication barriers and get entirely in-sync with your client, you need to ensure you can motivate and speak to their personal preferences. If you want your clients to get sustainable results and to create lifestyle changes rather than just flash-in-the-pan fitness events, you need to get into their mindset and look at the basis of their personalities. Your client’s personality holds the key to what motivates and drives them. Incorporating these three steps into your client evaluation process will ensure that you can keep your client motivated. STEP 3: PERSONALITY-BASED ACTION PLAN: Design fitness approaches and methods that capitalize on personal strengths. Go over your client’s Personality Report with the three DISC graphs initially and discuss his/her personal preferences. High D styles are motivated by competition, goals, changing routines, and tangible no-nonsense results. High I styles are motivated by having fun, looking good, influencing and socializing with others, recognition, and acceptance. High S styles are motivated by being part of a group or a team, being realistic and practical, doing what is familiar, and being supportive to others. High C styles are motivated by process-oriented goals, finishing tasks, following through, achieving high-quality results, knowing the details, and taking time to do it right. Read also 4 ways to motivate athletes with DISC.